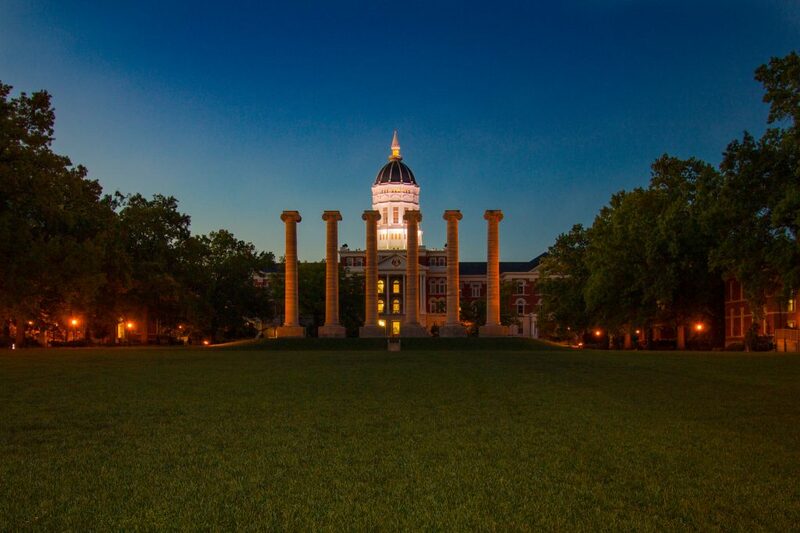 The University of Missouri in Columbia, also known Mizzou or MU, is one of the best academic institutions in the region. It is the largest university in the state with over 20 academic colleges and over 300 degree programs. It is also the flagship school of the University of Missouri System. The University also has campuses located in Kansas City, St. Louis, and Rolla. Here are among the best majors offer in the University of Missouri. The Robert J. Trulaske, Sr. College of Business is one of the most renowned business schools in the country. It is the second largest academic division in the University. The school offers majors such as Business Administration, Economics, Finance, Business Management, and Marketing. The school of Journalism in Mizzou is one of the oldest formal journalism schools in the world. The school was founded in 1908. The school operates with the country’s only University-owned TV Network affiliate (NBC affiliate KOMU). The school offers majors such as Convergence Journalism, Magazine Journalism, Photojournalism, Print and Digital News, and Radio Television. The University of Missouri’s most popular major is their Political Science school. This program is often taken up by pre-law students, but it is also considered one of the best Political Science programs in the state. The program offers opportunities to study abroad and participate in special internships. The University Of Missouri School Of Law is among the largest and oldest schools in the state. Most of the political science graduates of the University continue on with the law school program. The school has a high passing percentage with over 80% of the graduates obtaining employment months after they finish law school. The University of Missouri offers medical and health related majors. This school operates along with the University of Missouri Health System. Included in the system is the Sinclair school of Nursing. Majors in this area include Nursing, Dentistry, Pharmacy, Health Science, and Human Development and Family Science. The University offers majors in the field of medicine. These programs are also operated in the University Health System that includes five hospitals such as the school’s own University Hospital, the Ellis Fischel Cancer Center, the Missouri Orthopaedic Institute and University of Missouri Women’s and a Children’s Hospital. The University also runs a School of Medicine program within their system. The University offers a Theater program for performance and acting. The program focuses on scene studying in comedy in drama, contemporary and period styles, as well as stage movement and vocal performance. The program has produced alumni such as actors John Hamm and Kate Capshaw, and singer Sheryl Crow. The college of Engineering is the second most popular school of the University. It is among the oldest schools of Engineering in the country, being established in 1859. The college has a rich tradition, but it is also among the most advanced, as the college operates the University Of Missouri Research Reactor Center, the largest university research reactor in the United States. The school’s education program offers five academic departments, including doctoral, graduate, and undergraduate programs. These are all offered on campus and also through online courses. Mizzou was one of the first schools to undertake professional training of teachers in their programs. The University offers teaching and research programs for agriculture, food, and natural resources. There are over 15 degree programs and six academic and research divisions. The majors offered in this school include plant sciences, agricultural journalism, animal science, fisheries and wildlife, and biochemistry. The University of Missouri offers among the best school programs for higher education. Not only do they offer world class facilities and programs, but Mizzou also retains great traditions and a rich history. The school also has a wide range of state of the art facilities and among the largest research centers in the state.